Pulp Hack Confessions: Under Attack? Send in the Calvary -- Martin Calvary, that is. . Under Attack? 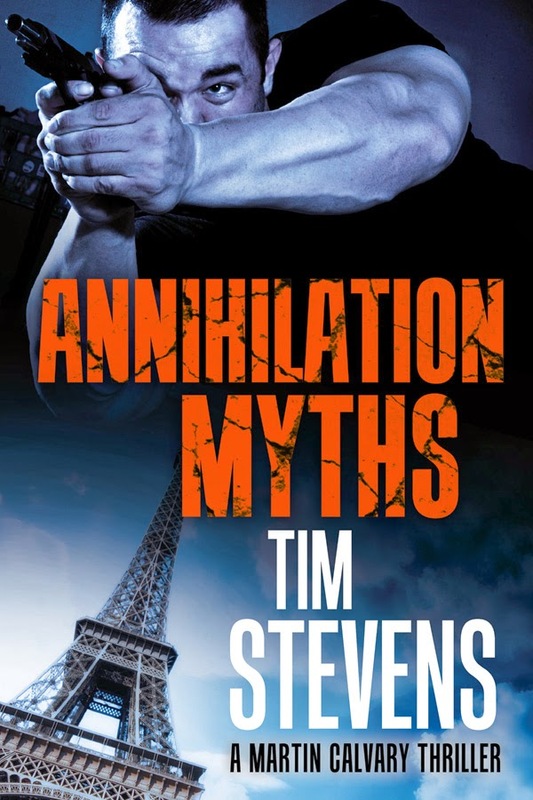 Send in the Calvary -- Martin Calvary, that is. .
Tim Stevens' reluctant British assassin, Martin Calvary, is back in Annihilation Myths, Stevens' most recent thriller. This time, however, Calvary is not working for the Chapel, the agency that employed him in his first outing. At least, he doesn't think he is. Honestly, there are so many double identities and triple agents in this novel, there must have been times when Stevens himself wasn't sure! 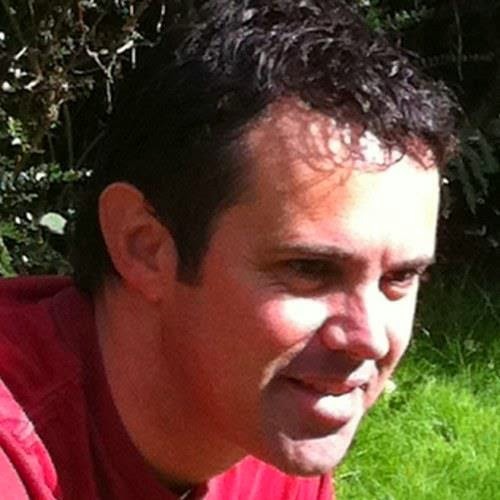 Tim Stevens: his library of thrillers expands constantly. In any event, this book finds Calvary on the run from his old outfit, sporting a new identity, a new country and a new challenge: ferreting out the deadly scheme of a political leader who plots to throw La Belle France into turmoil,. In his first outing, The Severance Kill, Calvary was dispatched to the Czech Republic to eliminate Sir Ivor Gaines, a double agent who supposedly was planning to sell a list of British spies to the Russians. It was supposed to be his last job, after which he would be free to leave the Chapel and walk the earth a free man. But it turned out that Calvary's boss had lied to him. Gaines planned no treachery at all, and Calgary ended up being forced to rescue him from a vicious group of Czech gangsters who took him hostage. At the same time, the Russian secret police were trying to find and kill Gaines for their own reasons, forcing Calvary into a series of fistfights and gun battles on the streets of Prague with two different groups of heavily armed thugs. Annihilation Myths is set nine months later. Calvary is in France, hiding from his former employers and certain he is the target of a Chapel contract for disobeying his masters in the first book. When he encounters Harper, a down-and-out Army chum who is working as an unofficial private eye, Calvary is initially suspicious. Harper has been hired to find Marie Le Clerc, a young woman who went missing after joining a sinister French patriotic organization, Soleil Levant. The organization is headed by Didier-Luc Durand, a charismatic leader who has his own dark plan for his native country. Calvary initially refuses, infuriating Harper by offering him money. They part on bad terms but Calvary rethinks his reluctance and goes looking for his former military pal. When he finds him, Harper is dead, tortured to death in a grisly fashion. Wracked with guilt, Calvary decides to pick up the girl's trail, and ends up infiltrating Soleil Levant to find out what has happened to her. To reveal any more of the plot would expose the key secrets Calvary must unveil. Suffice to say that in the fashion we have come to expect from a Stevens thriller, the action is fast-paced and the violence nearly non-stop. Some of the people who originally seem to be his enemies turn out to be allies, while some he likes turn out to be no-goodniks. One of the challenges facing Calvary -- and the book's readers -- is figuring out which is which. All but one of the characters who appear in the novel are carefully drawn individuals whose personalities are fully realized. The main villain, while clearly a monomaniac, is much more than just a cardboard cutout, and his motivation is quite credible. He is surrounded by thugs who are dreadfully rotten and pose a constant danger to our intrepid assassin. Unfortunately, the one major character who is something of a cipher plays a key part in the story. The novel includes some truly unique bits -- plot twists that I certainly didn't see coming. For example, Calvary is forced to improvise an explanation for injuries he has received at one point during the novel. He comes up with a believable one by deliberately throwing himself in front of a moving car, which not only excuses his wounds, but actually makes them worse. That Martin Calvary is one tough guy! Annihilation Myths has a plot that is more devious and opaque than that of Severance Kill. Throughout the book significant characters turn out to be something other than they seem and a good part of the suspense is generated by the fact that Calvary is never certain which of them are good guys and which are bad. 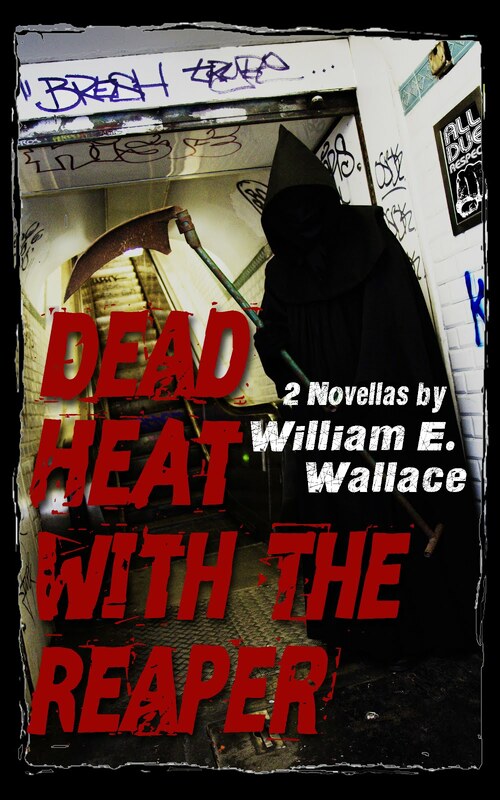 For the reader, trying to dope out the heroes and villains is half the fun of the novel. The remainder comes from watching how Calvary works to prevent the conspirators from launching a devastating attack on France -- and wondering whether he will stop them or die trying. Annihilation Myths meets the high standards Stevens has set in his earlier novels. It is a first-rate thriller and a worthy addition to the other volumes in his rapidly expanding espionage library.